So, there’s alleged voter fraud in New Hampshire again. In addition to a whole bunch of other unfounded similar allegations. According to Politifact, the reason the media wasn’t reporting on it is because there is no concrete evidence that any voter fraud occurred. At the time, California Secretary of State Alex Padilla said that even if the votes were recounted, the potential for fraud is “frankly minuscule,” and that in the past such recounts have resulted in “single digit” changes. Compare that to Trump’s allegation of 3-5 million fraudulent voters, and you begin to understand the scale of the accusation and its unlikelihood. Virginia and New Hampshire secretaries of state, along with Ohio’s, dismissed these claims out of hand when they first arose. Also worth noting that because Donald Trump only lost New Hampshire by .3% of the vote and was well within his rights to request a recount. He did not do so. 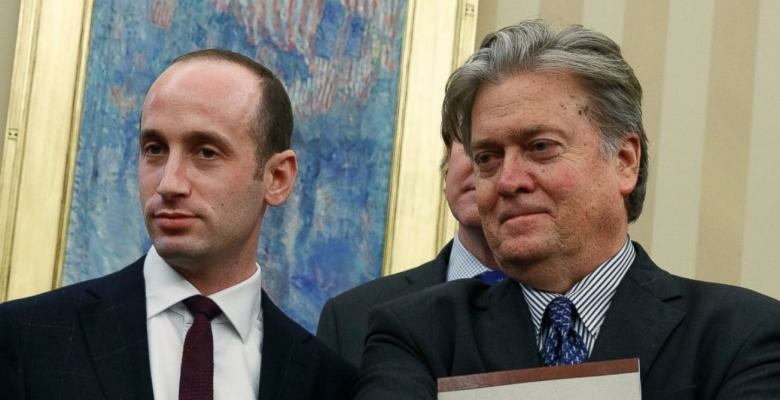 So, it should come as some surprise that, three months later, senior White House advisor Stephen Miller is remaking the case for widespread voter fraud in New Hampshire. In an appearance on ABC’s ‘The Week’ on February 12th, Miller responded to the President’s February 10thassertion to a group of Senators that he would have won New Hampshire if not for the “thousands” of voters illegally bused in from Massachusetts. So far, the only evidence that there has ever been anything like voter fraud in New Hampshire is limited to an incident in 2012 where a state senator allowed staffers to live in her house in the three months leading up to the election, a long enough residency to legally vote in New Hampshire. While we can debate the ethics of this kind of behavior, it hardly constitutes filling buses with illegal voters and moving them over on election day. In the interview on ABC, Miller went on to cite a statistic that 14% of non-citizens are registered to vote. Which does sound alarming until the PEW researcher who conducted the study says that the results “suggest that almost all elections in the US are not determined by noncitizen participation, with occasional and very rare potential exceptions… there has been a tendency to misread our results as proof of massive voter fraud, which we don't think they are." And then the whole interview just started to dip into surreality, with Miller going on to say, “The White House has provided enormous evidence with respect to voter fraud, with respect to people being registered in more than one state, dead people voting, non-citizens being registered to vote. George, it is a fact and you will not deny it, that there are massive numbers of non-citizens in this country, who are registered to vote. That is a scandal." They have provided no evidence. Of the things Miller mentions in the above statement, the only thing that is backed up by evidence is that 14% of non-citizens might be registered to vote, and even that evidence has come under criticism for having too small a sample size to be viable. There is absolutely no evidence for the rest, and the relevant corresponding statistic is that though many non-citizens are registered to vote they almost never do. According to a story in Time Magazine, multiple studies have reported that between 0.0003 and 0.001% of all votes are cast by illegal immigrants. This is due in large part to the lack of incentive for them to do so. When confronting up to $100,000 in fines, jail time, denial of citizenship and deportation, it’s easy to understand why almost all non-citizens stay out of the voting booth. This is more of the same nonsense from the Trump White House. Vitriolic, rabblerousing, fear-mongering designed to distract the American people from the fact that the President’s travel ban will not be reinstated, that his trade platform is in desperate need of repair, and that the whole process of making America great again is going to be harder than lying about rigged elections.